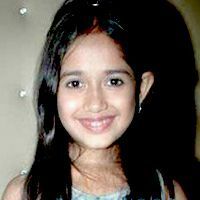 Child actress Jannat Zubair Rahmani, who was earlier seen playing the lead role in Imagine TV’s show ‘Kashi’, is playing the young Phulwa in Imagine TV’s show 'Phulwa'. Check out the most updated and latest information about Jannat Zubair Rahmani's on the Internet.We have 39 videos of Jannat Zubair Rahmani including interviews, events, or public appearances.Jannat Zubair Rahmani has over 123 Fans registered on India-Forums.com. We have 125 Television News articles related to Jannat Zubair Rahmani.Do share your criticism, comments and feedback for the Actor on Jannat Zubair Rahmani's comments page. We have over 5 Photos of Jannat Zubair Rahmani to view and download including Jannat Zubair Rahmani's Wallpapers. I want to see her rank go up before the end of the year. Just love this super-talented, magnanimous and beautiful young soul named Jannat Zubair Rahmani. You're my favourite child actress in the universe and always will be. Love you loads princess mwah! Jannat Zubair Rahmani.. just love ur cuteness..
okay , I really did not like Phool much ..but I like U babe...Keep Rocking ! My jannat jaana...ur IV took my breath away , ur choices are fab !!!! Congratulations on entering top 50 !!!!!! !